Adding a screened in deck, screened in porch, or patio enclosure will provide a relaxing spot where your family can enjoy the outdoors without the insects, sunburn or other nuisances. The weather around Baltimore can vary widely so why not be ready to enjoy the beautiful days when we have them? T.W. Ellis has been building amazing screen rooms in Bel Air, Towson, Pikesville, and all around Baltimore since the early 2000s. As a certified Maryland deck and remodeling contractor, T.W. Ellis designs and builds low maintenance custom outdoor living spaces. To meet the various needs of our customers, we build our screened in porches, decks, and other outdoor rooms using a variety of materials, including pressure treated lumber, low maintenance vinyl products, and beautiful, long-lasting hardwoods. We can add a screen room to an existing patio, covered porch, or deck as well designing you an entirely new outdoor living space. We also take your home into account and, by using decorative elements in the ceilings, hand rails, and stairs, we can match or compliment your home perfectly. 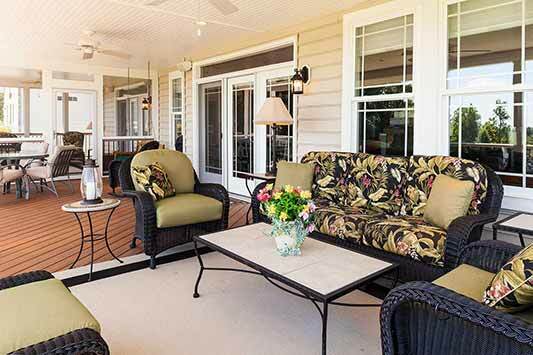 Then through amenities such as ceiling fans, lighting choice, fireplaces, and outdoor entertainment options (think TVs and sound systems), we can turn a basic screened in porch or deck into a truly useful part of your home. Trust the experts at T.W. Ellis to follow your dream and construct a beautiful outdoor living space for your family to enjoy for years to come. We have an in-house designer to provide you with 3D drawings of how your screen in deck or porch will look, even before we even begin construction. T.W. Ellis has proudly built several award-winning screen rooms and patio enclosures for our clients, so be sure to check out our Awards page as well as our Screened in Porch & Deck gallery. 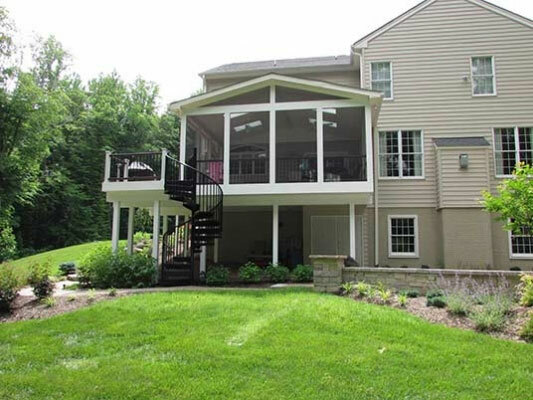 You may also want to check out our deck projects, and home additions. I had never used a contractor before so I was worried about finding a good one. Now I know one and feel I never have to look for another one. I would not hesitate to recommend to them to anyone. We are very happy with our screened room, deck and patio. The finished project was even better than we imagined. We would highly recommend T. W. Ellis. This company was a pleasure to work with. The project was brought in on time and I am delighted with it.